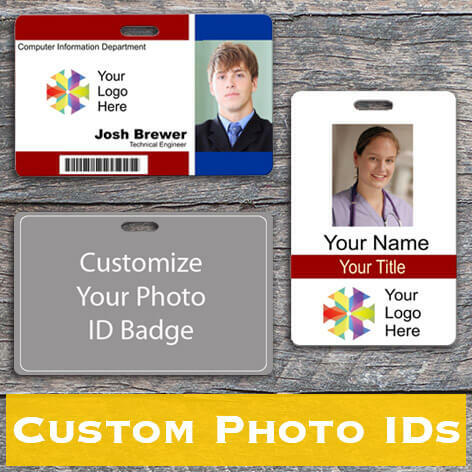 Employees rely on the professionalism and security that custom photo ID badges provide. 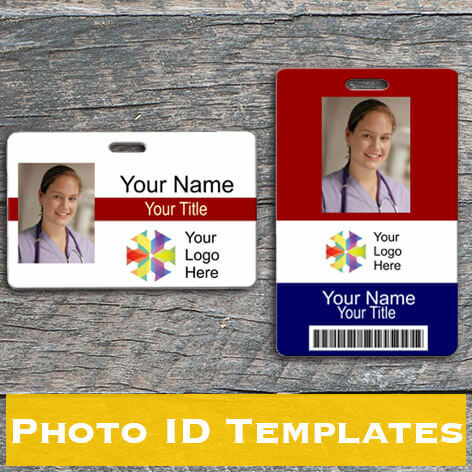 Custom ID badges allow for precise identification of key team members while providing a unified and branded look for your business. Medical professionals, home services, universities and many other fields are turning to photo IDs as their primary identification tool. Use the up-to-date design wizard that is exclusively available on Name Tag Wizard, upload your team's photos, names, titles, and company logo and have a custom badge for every member of your staff. You can even enhance your IDs with bar codes and QR codes. Our badge templates are easy to personalize for each of your employees. Pair your finished design with a new lanyard and you're all set. Begin by selecting your starting point from the pre-designed templates we offer above. 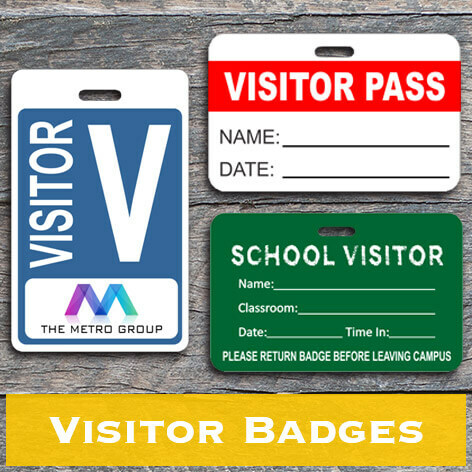 Build trust and friendly rapport in your workplace with badges that feature your company logo. We offer several shapes and sizes within our convenient pre-designed templates. Browse our selection of vertical, double sided and horizontal designs. Make every staff member a part of the team by providing them with an ID that features their name, picture and job title. Our accessories section features several convenient backing options that you can have added to your IDs, featuring swivel clips, pins and magnets. You can also protect your IDs with a vertical or horizontal holder. Your order ships next business day!